For patients with concerns for skin breakdown, arthritic changes in their feet, diabetic conditions, reducing shearing forces at the foot surfaces and those who need the added comfort from the self molding process of P-Cell. * Diffuse callosities, insensate feet, metatarsalgia, pre-ulcerated sites, bunions, Charcot foot, plantar fasciitis, some foot deformities, Morton’s neuralgia and the need for forefoot accommodation. * Designed to reduce mean peak pressures at the site of neuropathic ulceration. Low with maximum accommodative support. 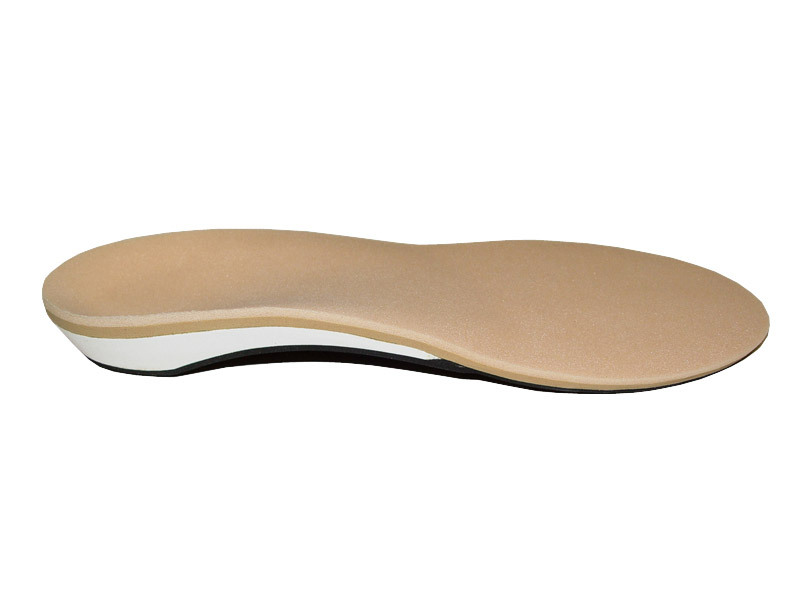 Mid: 3mm Lunairmed – Extra soft, low density EVA ideal for use as cushioning. Higher quality material than Poron. Shell: EVA mold for accommodative support. Bottom: 1.5mm Nyplex – excellent closed cell cushioning capability, as well as being durable, and resilient.